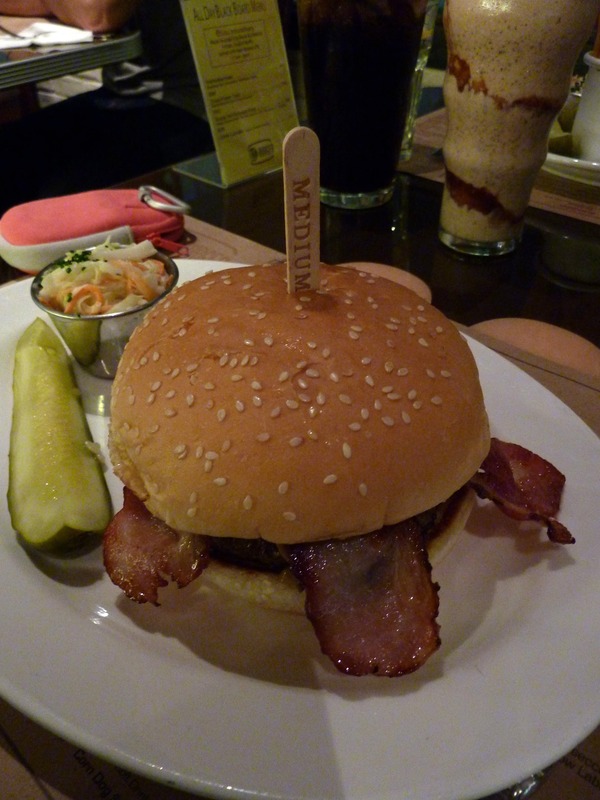 BLT Burger restaurant review – nice buns! For more refined diners out there, the term BLT no doubt obviously stands for Bistro Laurent Tourondel, the chain of restaurants started by its eponymous celebrity chef. For any Brits out there, it’s a plain old bacon, lettuce and tomato sandwich. Which, I suppose, isn’t so far from the main offerings at BLT Burger. Think of BLT Burger as the diffusion line to the more-high end BLT Steak. Offering a menu of burgers and little else, it allows you to get the BLT experience for a fraction of the price. But if you don’t like burgers, you’re screwed. 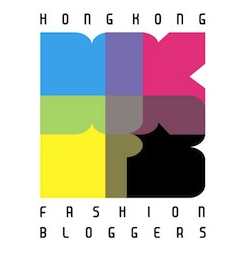 Both BLT Steak and BLT Burger reside in Tsim Sha Tsui’s luxury mall, Harbour City. But whilst BLT Steak has a prime spot with a gorgeous harbour view to justify those prime prices, BLT Burger is tucked away in the thick of the mall itself. It’s not the biggest shop space and tables are crammed in like jostling mainlanders to the Louis Vuitton shop nearby, but it does have a pleasant cosy feel. Décor is a half-hearted attempt at a 50s diner but the most attractive parts of the room are the platters of lip-smacking cupcakes slap-bang in the middle of the joint. Kudos to whoever decided to use up precious floor space with this display – I imagine they get double the amount of dessert orders because of it. But onto the food. May I reiterate that if you don’t like burgers, you’re screwed. Although if you’re dumb enough to come into a restaurant with burger in the title, perhaps you deserve to leave hungry! All burgers are made of 100% certified Black Angus beef from a combination of the sirloin, short rib, chuck and brisket. In eating terms, this translates as ‘no bits’. It’s all the good stuff, with none of those appetite-deserting moments where you crunch onto a globule of hard unidentifiable nastiness, still a little bit melt-in-the-mouth crumbly. 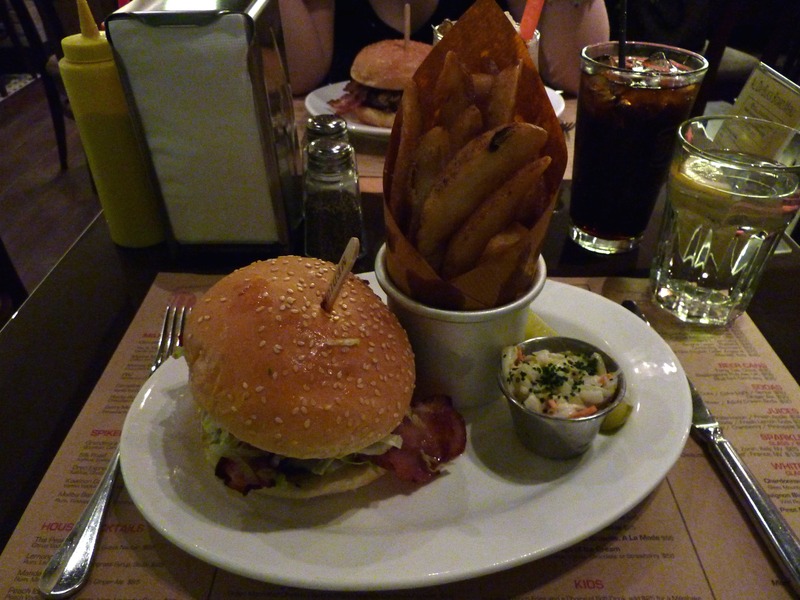 When dealing with burgers this big, I have a tip – remove the top bun. Bread is the stuff that fills you up and what’s that top layer doing for you anyway?! All the juicy action is going on in the bottom bun, which has lovingly soaked it all up for you. Then proceed with knife and fork. Why waste vital juices dripping away whilst you’re attempting a Krypton Factor-esque conundrum of squeezing something that big into something that’s so clearly not big enough?! I opted for the Roaring Forties Blue burger ($98), because I was rather struck with a mental image of me chowing down whilst wearing a fetching flapper dress and string of pearls in a prohibition-era bar. Alas, that’s the Roaring Twenties and Roaring Forties refers to the type of blue cheese used, which was absolutely delicious. It’s creamily rich, with that heady strong blue cheese bite that was a little bit galling towards the end, but I wouldn’t have had it any other way. But the star of the dish was the gloopy gluey goo of balsamic caramelised onions and mushrooms. Soft, tangy, sweet, sharp and sour, this stuff couldn’t have been more addictive had it been laden with MSG. Since I find it an unfathomable concept that bacon is available and I’m not having it, I added it as an extra topping for $10. Crispy, salty, smoky, these were generously-sized rashers that probably didn’t really compliment the flavours of my burger but IT’S BACON. The only way it could be more irresistible is if Robert Pattinson came bearing it. 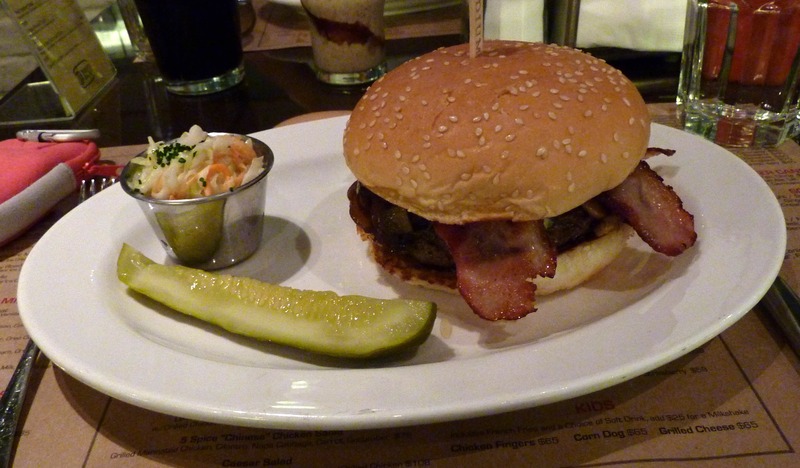 All burgers also come with coleslaw (too vinegary and sour) and a pickle that’s inexplicably not inside the bun. I saw most of these lying abandoned, confused and unloved, on people’s cleared plates. They also do three combo deals, but with less exciting varieties of burger. My boyfriend had the BLT – where it really does stand for bacon, lettuce and tomato this time – which comes with fries and a soft drink for $148. We went for the fat fries; alas, not the steak-cut beauties found in 798 or The Pawn but plain old potato wedges. They came in the trademark BLT paper-lined tin and it was a good-sized portion, tasty but unexceptional. You can add $25 to upgrade to a milkshake, which is actually a better deal (saving $31, rather than a measly $18). 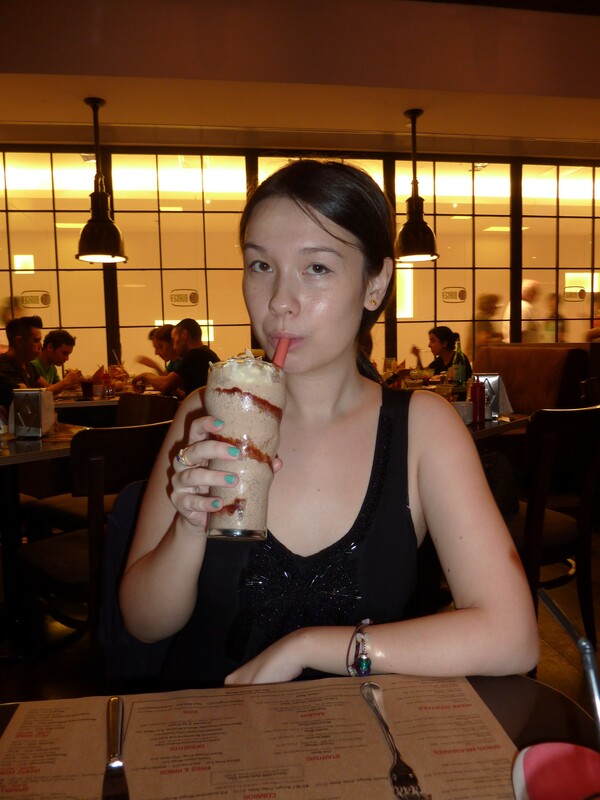 These milkshakes are meals in themselves! We got the Rocky Road, with more chocolate going on than in Willy Wonka’s wildest dreams! It was a creamy, thick, indulgent mix of ice-cream, brownies and blitzed almonds, with no other option than to slurp! Even between the two of us, we could barely get half-way. I so badly wanted a dessert. Those cupcakes had been calling my name ever since I walked in the premises. There was also a Valrhona Chocolate Praline Cake whispering lovingly to me from the menu. But there was just no room at the inn. My boyfriend had to roll me onto the Star Ferry home. For premium burgers, I don’t think you can go far wrong with BLT Burger. And if you plan on only ordering a Caesar Salad… just go away. P.S. No natural place to fit this in, but some waitresses were wearing tops that said ‘If you are what you eat, then I’m quick and easy’. In Hooters perhaps but c’mon BLT, I thought this was a classy joint?! 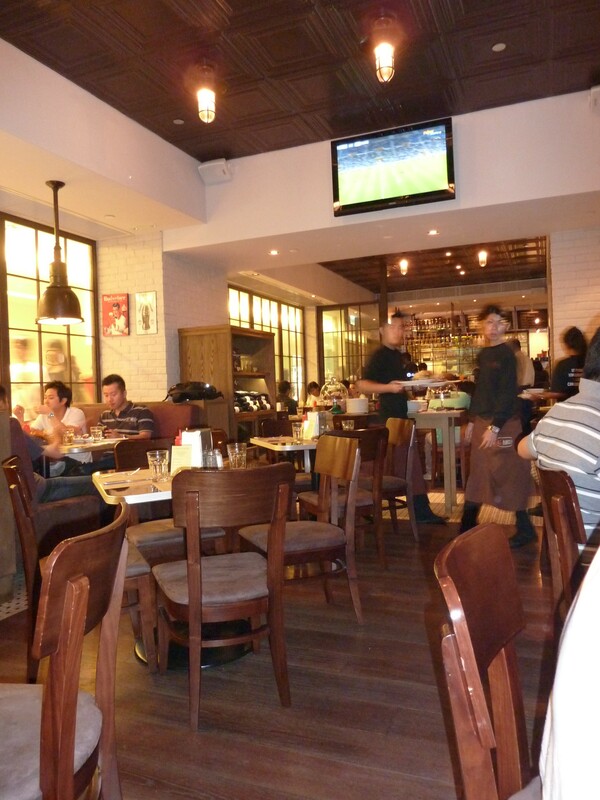 This entry was posted in Food, Hong Kong and tagged 50s diner, best burgers in Hong Kong, best fast food in Hong Kong, Bistro Laurent Tourondel, BLT Burger, eating out, F&B, fast food, Harbour City, HK, Hong Kong, Ocean Terminal, restaurant, review, Roaring Forties Blue, Tsim Sha Tsui, TST. Bookmark the permalink.